Hey good people! Thank you all so much for your kind words regarding my office makeover . 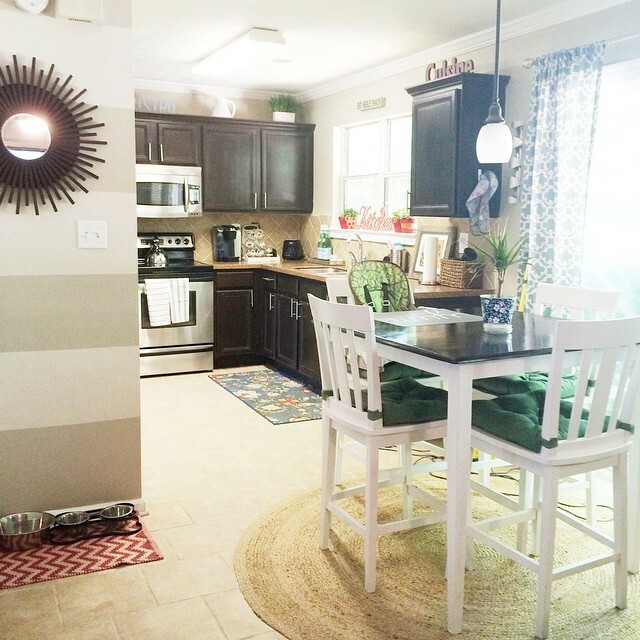 I am in love with it and I can assure you that it gets lots of use from my husband and I. 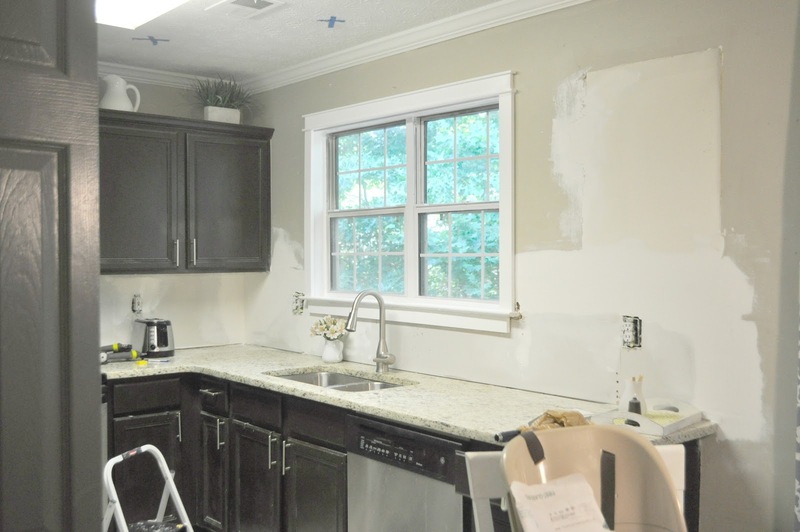 But I am super excited about the progress being made in the #liveprettykitchen makeover. 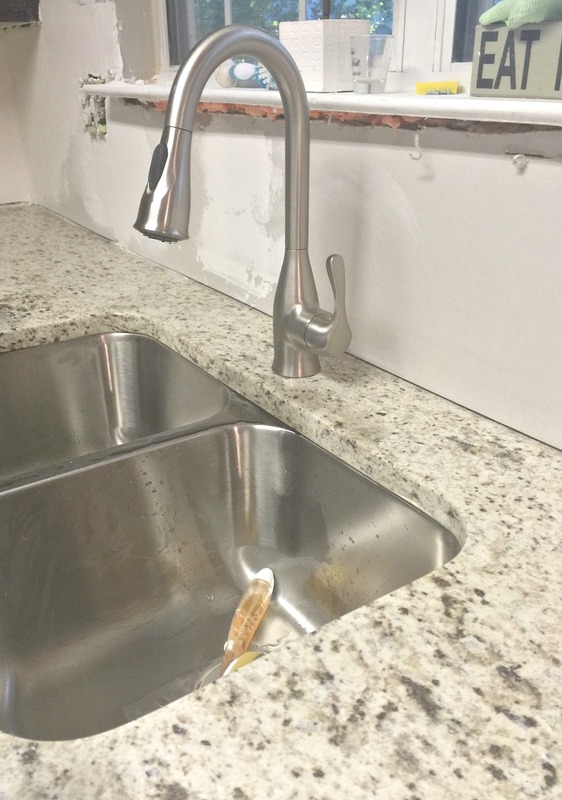 Last time I updated you guys, I had purchased my faucet and gotten my countertops installed. Well, its not installed and I just LOVE it. While I didn’t know that faucets could be so expensive, I am glad that we selected the one we did. It’s the Moen Kaden Faucet in Brushed Stainless. It has a single handle pull down sprayer which I am in love with and makes cleaning the sink a lot easier.. But the thing I am most excited about is completing our window trim!! 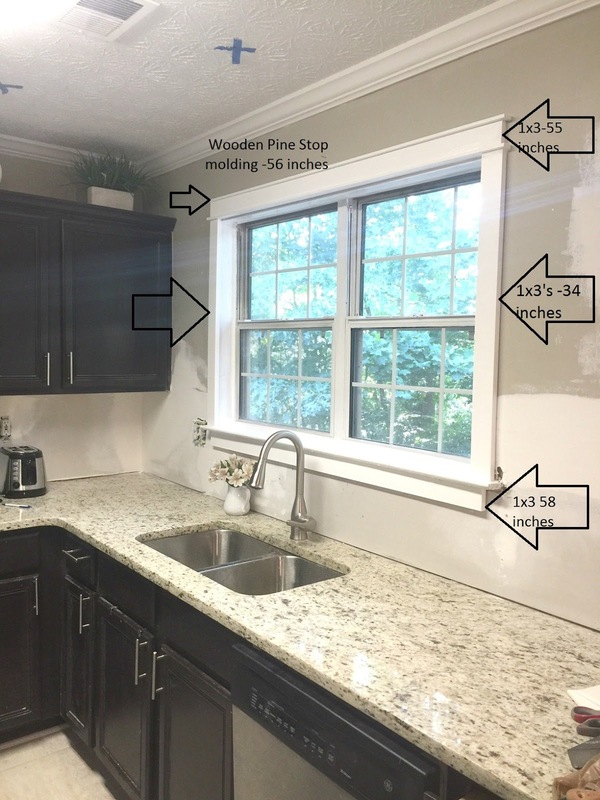 Craftsman window trim! 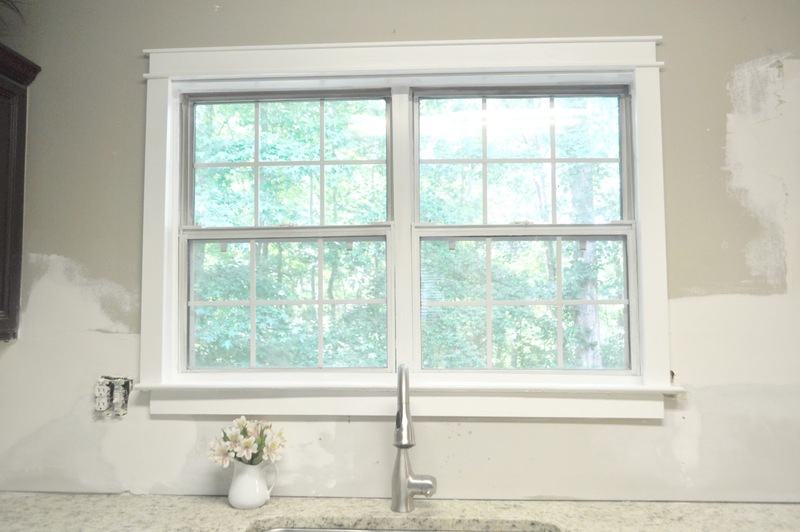 I have always love the look of chunkier window molding, and since none of my windows in my home currently have any trim, I figured this window was the perfect starting point. Confusing you yet? Hopefully this helps, lol. Keep in mind that all of the measurements are based on my windows. What I love about this trim is that any home improvement store can cut the trim for you, and since their are no angled cuts, once its cut, its ready to be put up! 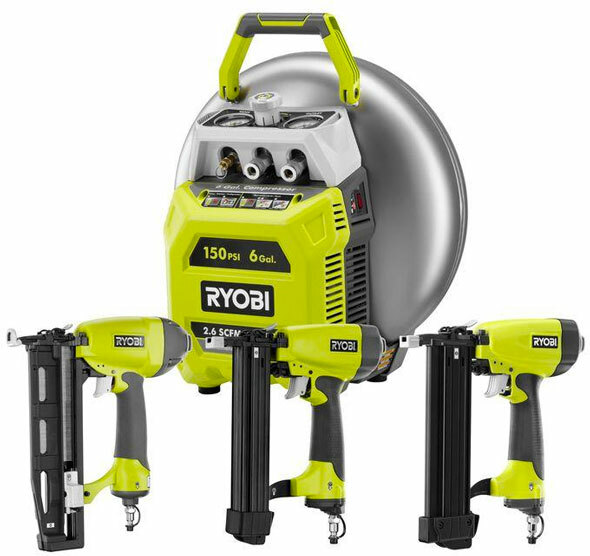 We put up our trim using our Ryobi Power Nail Gun with compressor, which made installing it a breeze. But I bet using old fashioned hammer and nails would work just fine as well. It would just take a bit longer. I totally consider this kit an investment, as we have used it several different projects. 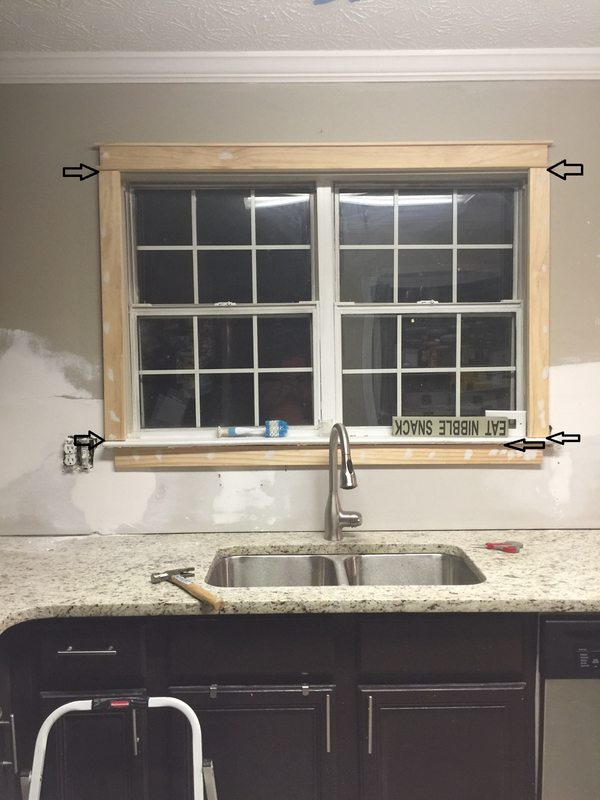 So once the trim was secured around the window, I went around with white caulk to fill in the seams. And all of the other areas you see white is a spackle to fill in all of the nail holes. After each patch dried, I sanded the areas down using a sanding block. I then painted over the trim with Behr semi-gloss white paint and primer. And that’s it! Super simple, right? How about we take a look at where we started? And where we progressed to…. 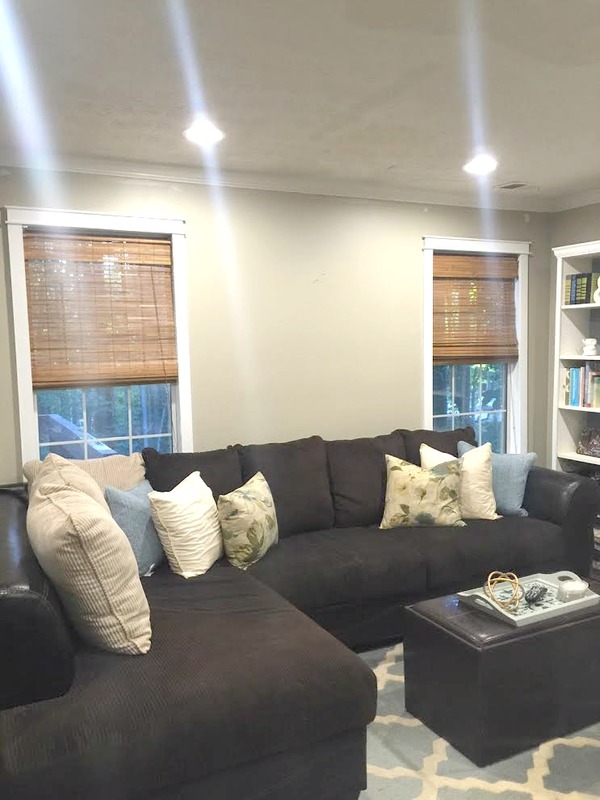 I’ve even added this trim to my family room since I just love the update that it provides. As always, thanks for following along with my process. We are so close to the finish line! So what do you think of this quick update?Will you be trying it? 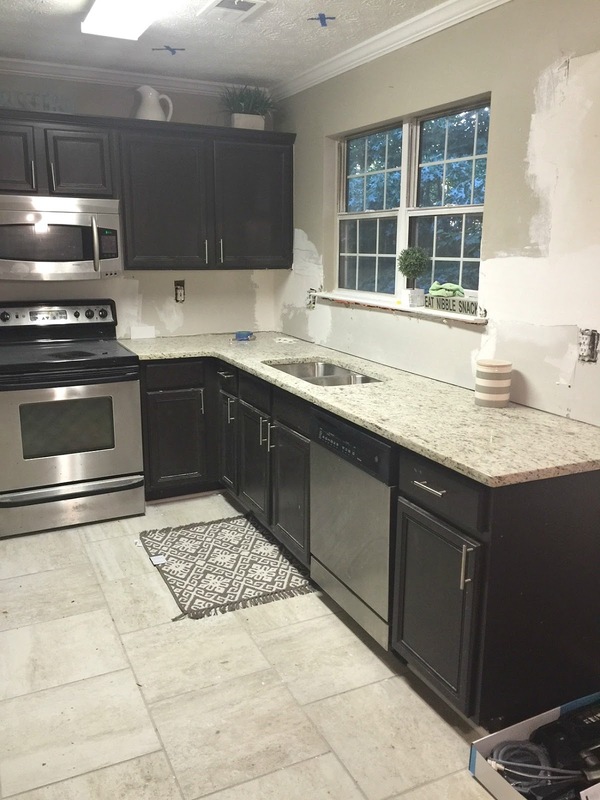 Let me know if you have any questions about how I completed this trim. Until next time. Previous Post Office Reveal Day! wow Erin! The trim made a huge difference! 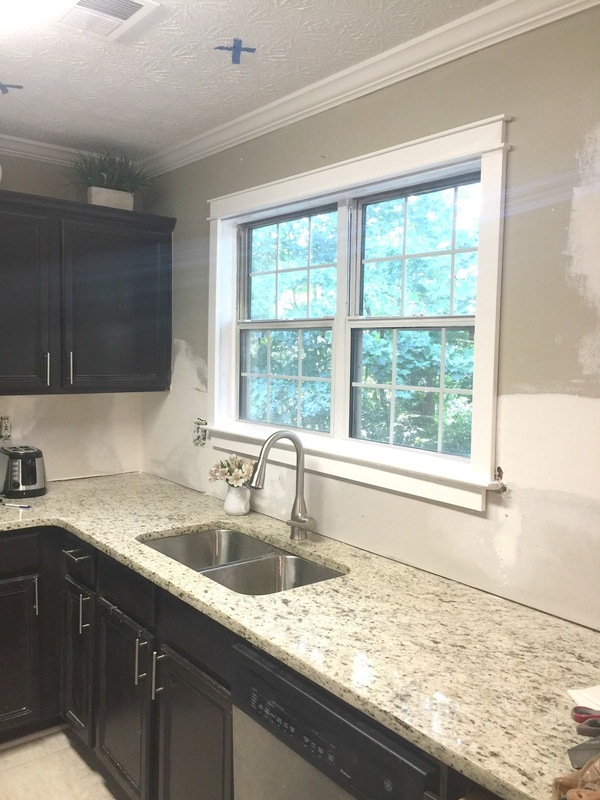 I love the polished look that it gives your kitchen window! Cant wait to see everything when you finish!